Boston, MA (October 15, 2015) – U.S. Wealth Management (USWM), a national network of independent wealth managers, today announced that Hanover resident Edward Quirk, CRC, has affiliated with the firm as a wealth manager and will practice under U.S. Wealth Management Boston in Braintree, MA. Ed will focus on providing one-on-one, holistic financial advice to mass affluent and high net worth individuals, families, and businesses based on their needs and objectives. Ed brings over 20 years of experience in financial services industry to USWM. Prior to joining USWM, Ed worked as a Financial Counselor at Citizens Investment Services as well as the Vice President of Financial Consulting at Bank of America, Quick and Reilly, and Fleet Investment Services for nearly 17 years. After graduating from Clark University, Ed got his start at Bank of Boston as a Financial Counselor. 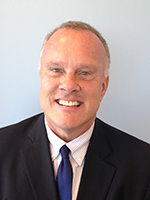 "Ed is a great addition to our growing team of experienced wealth managers at USWM. He brings years of thoughtful strategies, devotion, and caring for his clients which aligns with our philosophy and”, said John P. Napolitano, CEO of U.S. Wealth Management. “Ed’s detail oriented approach and passion for the art of financial planning epitomizes the level of advisor we wish to bring into our U.S. Wealth Management family – we’re proud to welcome him to the team." Ed said, “I was looking for the freedom of being independent, but also wanted the backing of a larger, well-established entity, which is why I am so happy to be coming on board with U.S. Wealth Management. I have the freedom to run my own practice, but can work with USWM’s assets to provide my clients with a greater range of resources to develop a plan that wholly support their financial goals." Ed continued, “Working with U.S. Wealth Management gives me the freedom and resources to tailor strategies to manage each one of my clients’ individual financial futures." U.S. Wealth Management is an independent network of experienced wealth managers who provide holistic advice and custom-tailored strategies to manage their clients’ financial future. With thirteen offices located nationwide, the wealth managers of the firm have a common focus – a personal interest in addressing all their clients’ investment, insurance, and retirement needs as they change throughout their lifetime. With access to comprehensive resources including asset management / research, advanced technology and an expansive product platform, the wealth managers affiliated with U.S. Wealth Management serve their clients with the support of a dedicated team of experienced professionals who put the clients’ needs first. For wealth managers, U.S. Wealth Management provides the full spectrum of resources necessary to advance the growth and value of their practices, providing true independence with structured support. The firm offers to wealth managers a culture of trust, support and accessibility, practice management and tailored coaching for growth, competitive payouts, advanced marketing support, and business succession planning. Visit uswealthboston.com for more information on the Braintree office or uswealthmanagement.com to learn more about all of our offices.